A glorious 100 year old stone cottage for two set on a 12 acre farm estate surrounded by lush forests of cork, oak and wildflower meadows. 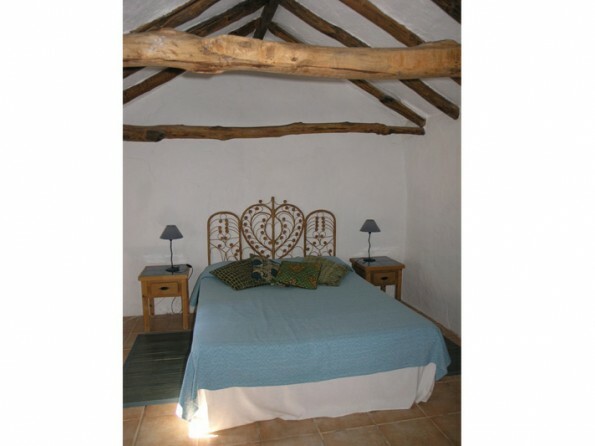 It is just 3km from the nearest village and a short drive to the coast. With a private pool, and sea views across to Gibraltar and Morocco from some parts of the estate, this is the ultimate rural idyll. 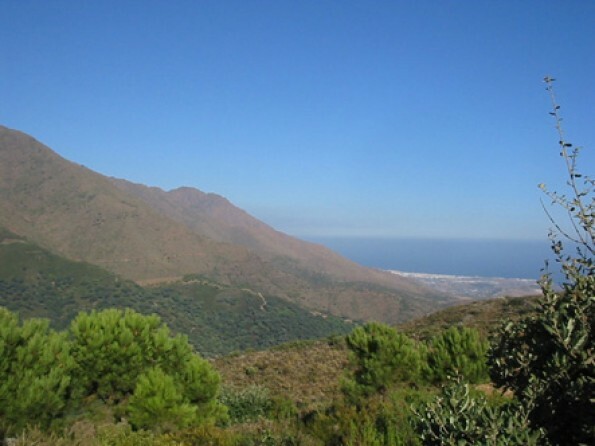 From parts of the estate there are amazing views over the Straits of Gibraltar to North Africa and walks in stunning mountain scenery straight out the front gate. 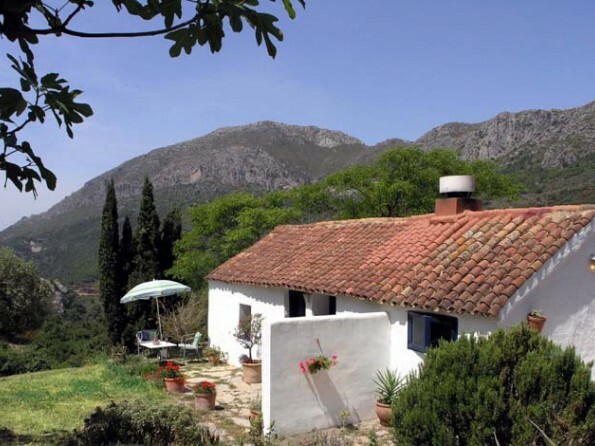 So whether you'd just like to laze in peace by the pool enjoying the scents of jasmine and heather while watching eagles gliding on thermals overhead or explore the spectacular mountains or famous sights of Andalucia this enchanting casita offers the perfect base. 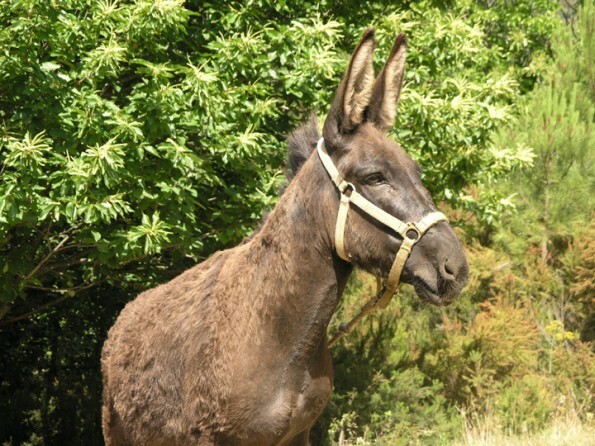 There are great walks straight out the front gate where you may glimpse a deer or an ibex, a fox, a wild boar, and a huge variety of birdlife. 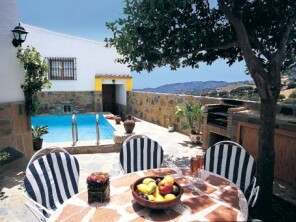 The beautiful "white village" of Casares just a 3km drive away down a mountain track has many restaurants and shops. The legendary towns of Ronda, Granada and Seville can all be reached as a day trip, by scenic train if you wish. 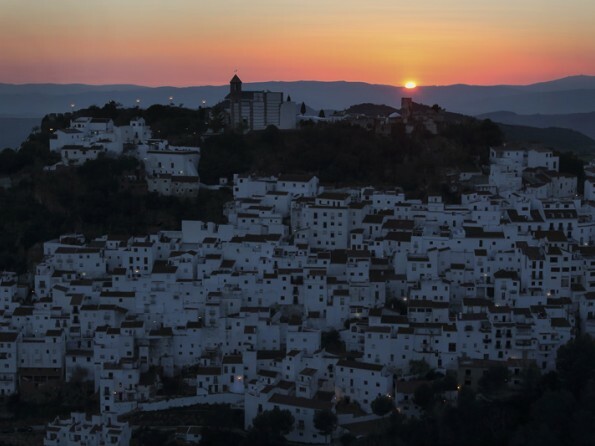 Casares is also ideally situated as the starting point for exploring the other picturesque "white villages" of the Serrania de Ronda and its breathtaking landscapes. 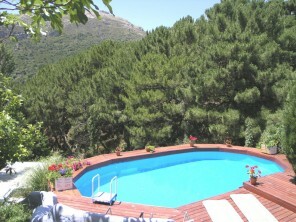 Beaches and golf courses are a 25 minute drive as are the supermarkets of Sabinillas. 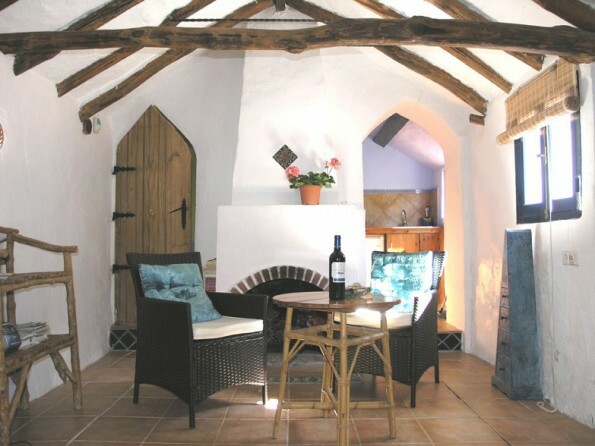 The cottage has been lovingly- restored retaining many original features such as seasoned chestnut beams and a cosy open fireplace. Designed as a romantic retreat for couples it has a king size double bed and handmade Ronda furniture in the open plan living/sleeping suite. 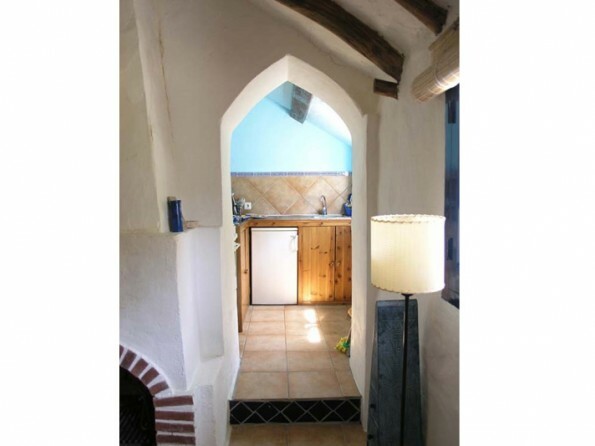 From the living area an antique arched door leads to the bathroom attractively decorated with hand painted tiles from Seville, while a second archway leads to a compact and well-equipped kitchen. There is a TV and video, CD, DVD, and radio. A separate kitchen with hob, oven and fridge. Bathroom with shower. Iron and ironing board and use of washing machine in separate outside utility room. Wifi available in the cottage. 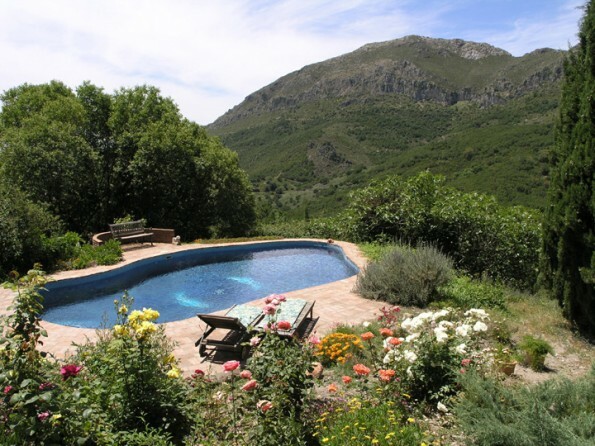 The cottage is set on a 12 acre farm estate with lush forests of cork, oak, pine and chestnut, as well as wildflower meadows, delightful gardens, and a lovely private swimming pool (10x5m) with sunbeds where you can while away lazy afternoons. There’s a patio with garden furniture, and a BBQ. 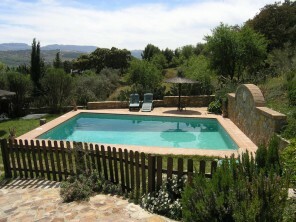 The scenery is spectacular with sea views to Gibraltar and Morocco from parts of the estate. 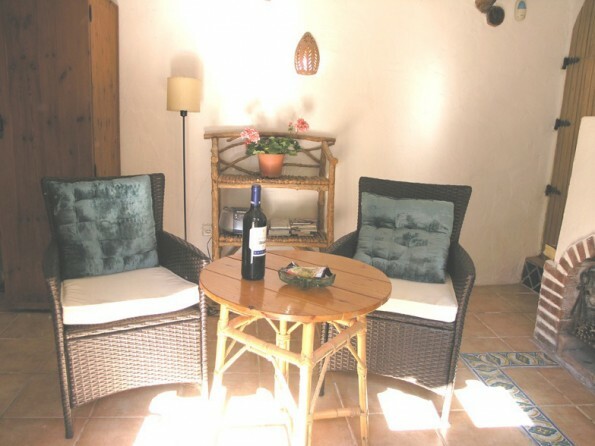 Set in a national park this enchanting mountain retreat offers peace and tranquillity in surroundings of natural beauty and yet the bustle of coastal towns such as Estepona and Marbella is a short drive away. 30% deposit payable on booking. Remaining 70% payable 2 months before arrival. You may cancel up to two months before arrival with a refund less 30% and the booking fee. Less than two months before arrival the rental fee is payable in full.